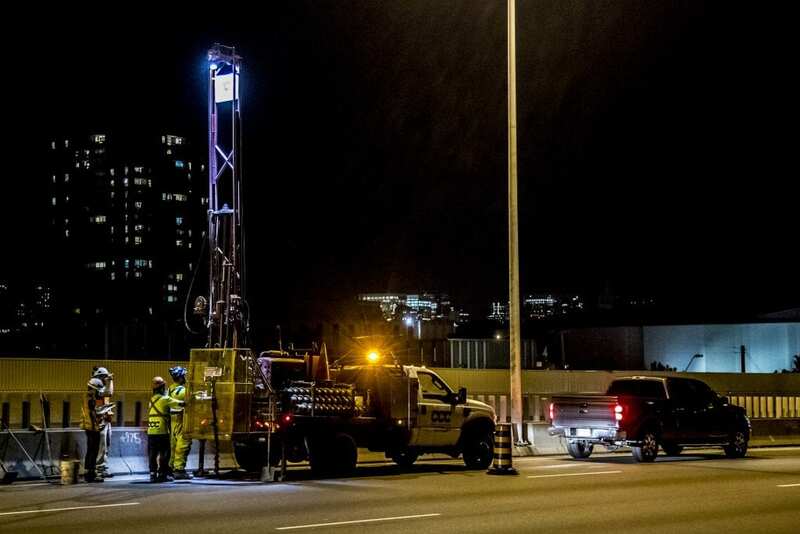 Geotechnical and environmental drilling services throughout Ontario. Angle Holes from 90 degrees to 45. HQ, HQ3, NQ, NQ3 casing and core sizes. Packer testing N and H holes. Installation of inclinometers, vibrating wire piezometers, extensometers, and other down hole instrumentation. When having your monitoring well program completed, our main goal is service and our drillers will make it seem easy. Installing monitoring wells of any size. MOE Well tags and logs. We are equipped for limited access sites with portable drilling units. Sampling and coring is made easy with our electric core drills. With the gas powered cat-head and tripod setup those hard to reach spots are a snap. 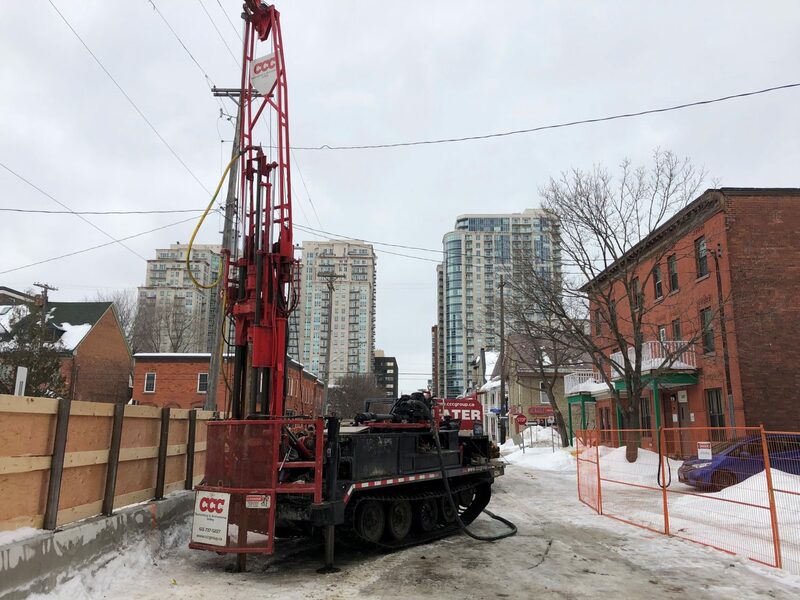 Our drillers specialize in small spaces and have over 15 years experience in the industry. Our rubber tire CME 750 is capable of going on and off road. It’s a very versatile drill for easily moving between holes and accessing hole locations. Both drills are capable of drilling more than 130′ with 4-1/4″ augers and 1000′ deep core holes either vertical or angle holes. The CME 750 also has five winches and two on board water tanks (one on each side) capable of carrying 100 gallons of water in each tank. Just fill them and go! Our CME 45B truck mounted drill is the newest addition to our fleet. Ideal for 4″ diameter and smaller well installations. 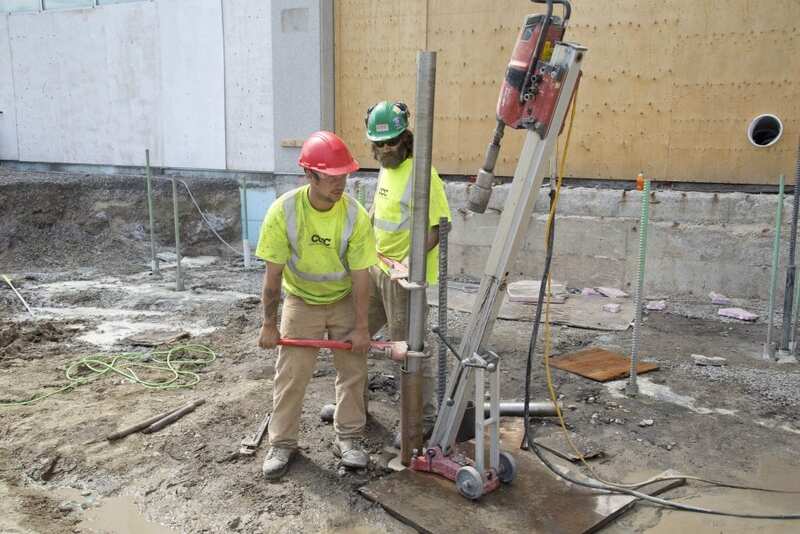 Tower down auger probes for pavement design, low clearance drilling and sampling with an auto hammer. Typically suited for geotechnical and environmental drilling applications using either Solid or Hollow Stem augers. 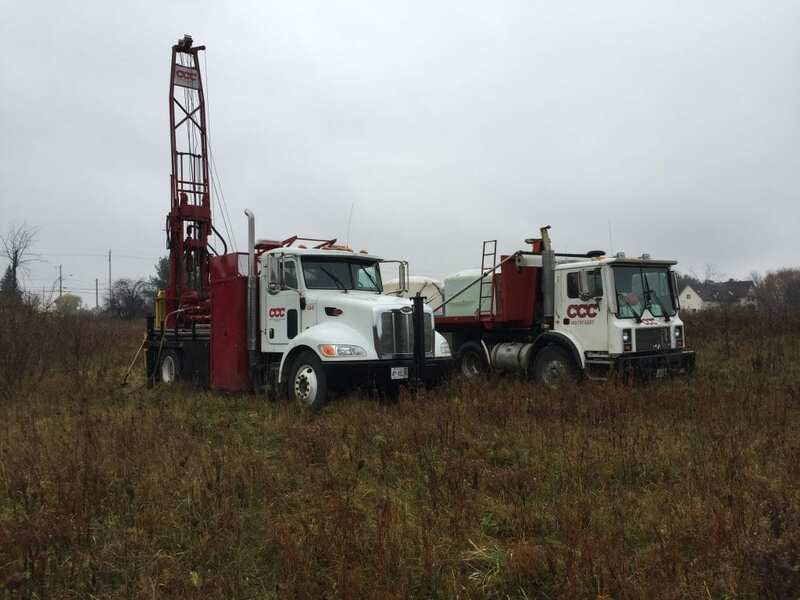 With the purchase of CoreTech Drilling we now provide environmental and geotechnical drilling services in small places. CCC is now equipped for limited access sites with portable units. Sampling and coring is made easy with our electric drills and pionjar. With the gas powered cat-head and tripod setup those hard to reach spots are a snap. 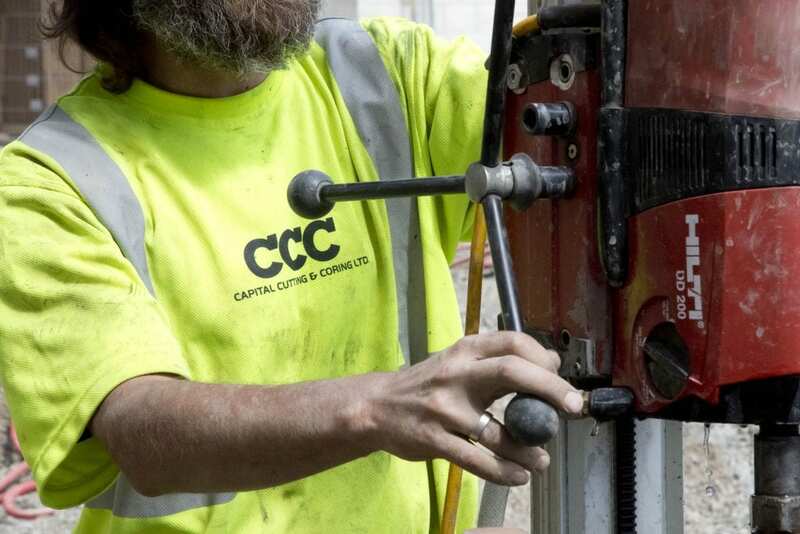 Our driller specializing in small spaces has 15 years experience in working in tight spaces. 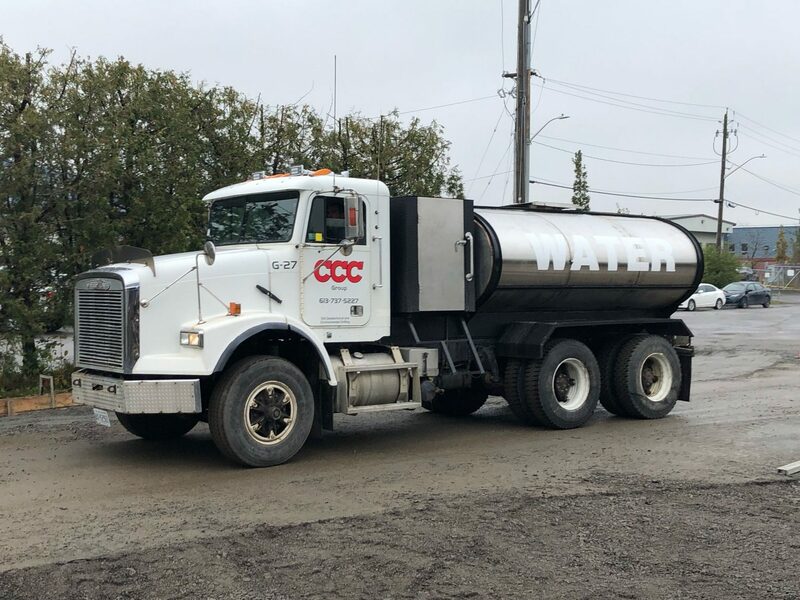 This 1800 gallon water truck delivers water to well drilling sites to cool off equipment used for drilling. All your off road needs when water is not available on a job site. This water carrier hauls water through rough terrain and is built to outlast the elements. 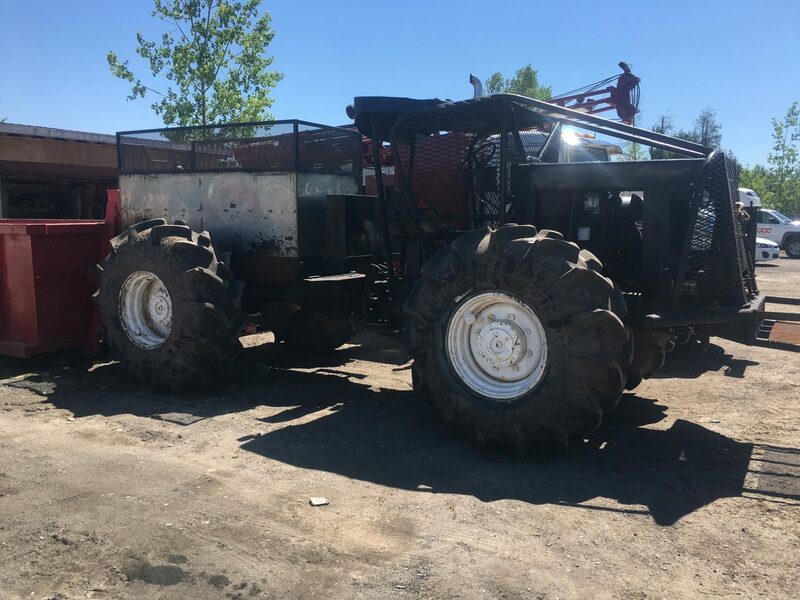 Both of our CME 850 track mounted drills are perfect for getting to those hard to reach locations such as in muskeg or just about anything off road! It also has an on board water tank that holds 150 gallons of water. Our CME 850 drills have angle drilling capabilities making it a very versatile drill unit. Cages and guarding of course! Our CME 55 track carrier auger drill has the power, versatility, and dependability to handle geotechnical and medium-sized environmental jobs with maximum efficiency. A mid sized drill rig, outfitted with an auto hammer for either solid or hollow stem auguring, and continuous sampling. Ideally suited for typical geotechnical and environmental drilling applications in a location with adverse terrain. 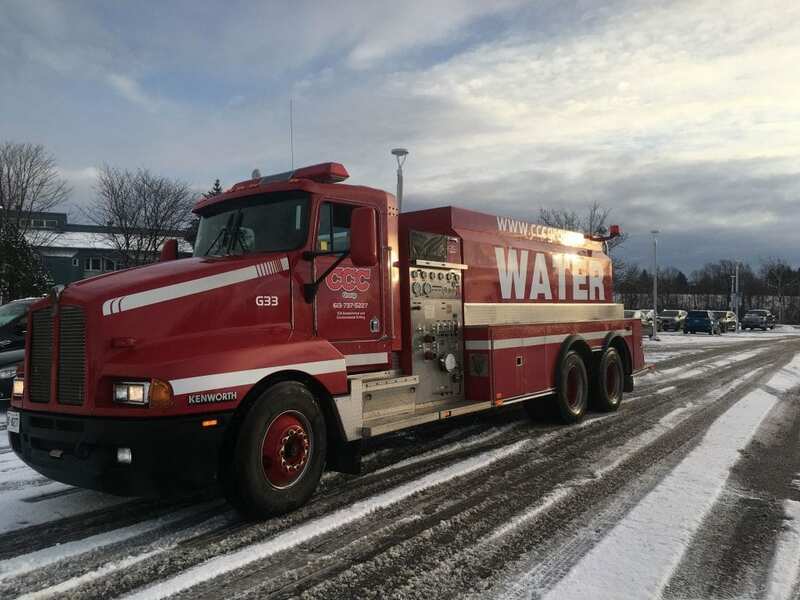 An old Kenworth fire truck turned into our new 2000L water truck for commercial and industrial water supply. Water Trucks provide us with remote access to a water source on job sites. 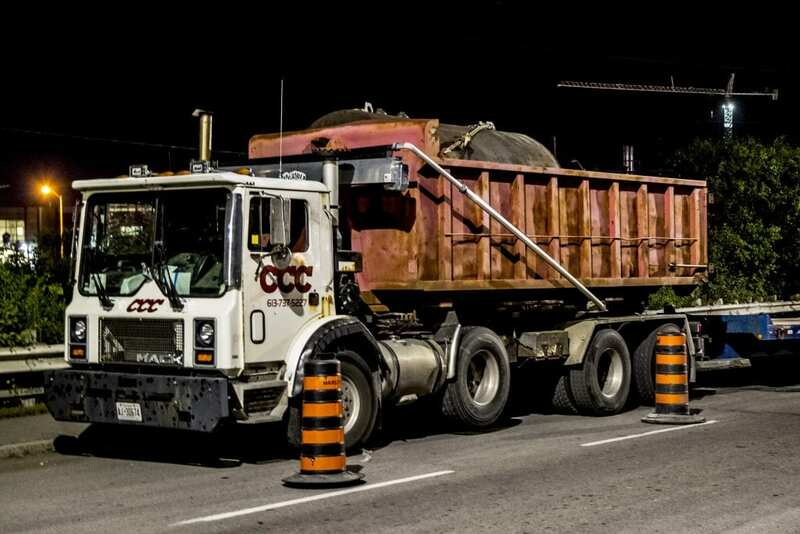 Member of the Ontario Ground Water Association and Ottawa Geotechnical Group.